Athletics play an important part in the education of students at The Philadelphia School. Lessons of commitment, sportsmanship, teamwork, competition, strong work ethic, perseverance, and how to win and lose gracefully are integral to our program. The athletics program strives to provide experiences that will help to develop students physically, mentally, emotionally, and socially. Our Athletic Director is Bart Jeannoute. 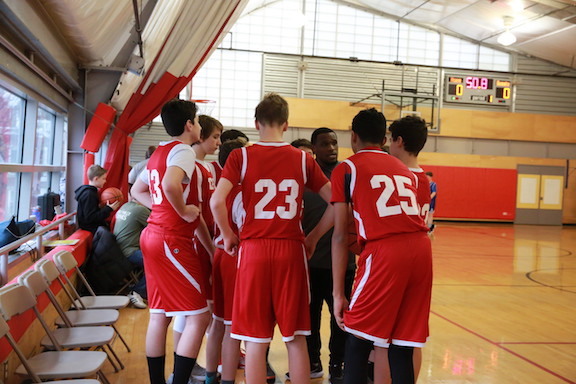 At TPS we encourage excellence in each sport, and we strive to field Middle School teams that are successful and competitive in a safe and fun environment. Our athletic program prepares student athletes for the next level by teaching foundational sport skills, tactics, and strategies, while fostering the development of commitment, responsibility, leadership, sportsmanship, and goal setting. Volleyball and basketball games are played in our gym. TPS is fortunate to use the field located at Markward Playground (Taney Field) for our soccer practices and games. We also use the tennis courts at Markward for practices and games. Track practice takes place at Penn Park and at Markward Playground, and all meets are away. TPS hosts boys and girls invitational basketball tournaments every winter.